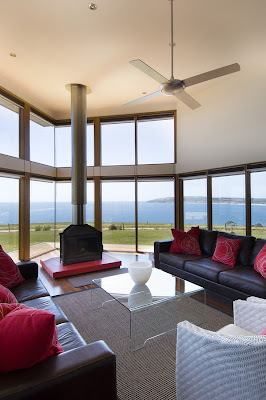 This attractive holiday home design with spectacular panoramic ocean view in Emu Bay, South Australia is designed by Max Pritchard, An Australian Architect. 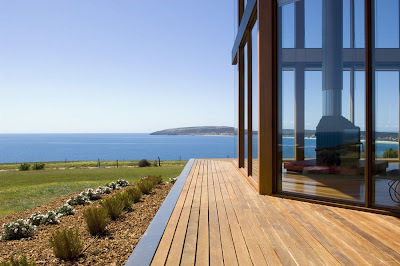 Timber decked terraces either side of the living area provide outdoor seating options for different wind directions. 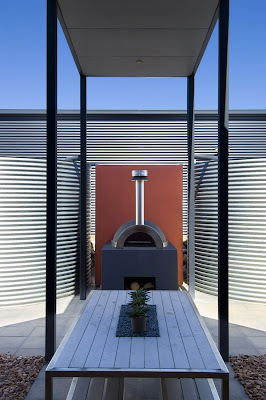 The sheltered rear courtyard, framed by the building, huge water tanks & timber screens focuses on a wood fired pizza oven. 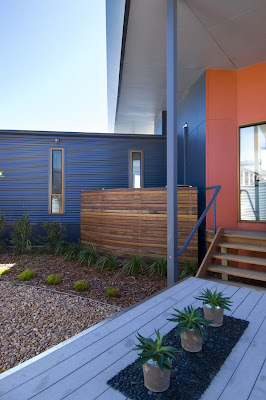 Corrugated colorbond, timber windows, flooring and decking, reinforces the relaxed timeless holiday atmosphere whilst the floating roof form adds drama to the exposed site. 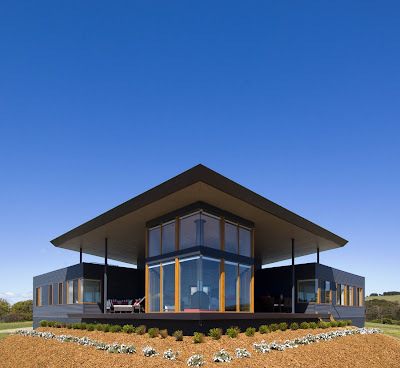 With an exposed site of sweeping views, the clients necessary a relaxed holiday home that maximizes views, but provided sheltered outdoor areas. The living area, with its dominant floating “lid” roof, emphasizes the drama of the exposed site. Two bedroom wings radiate from this core, and enclose a rear sheltered courtyard focusing on a wood fired pizza oven. 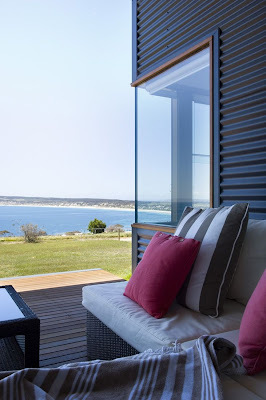 Indented timber decks, either side of the living area, provide other options for sheltered outdoor living, with the choice dictated by wind direction. 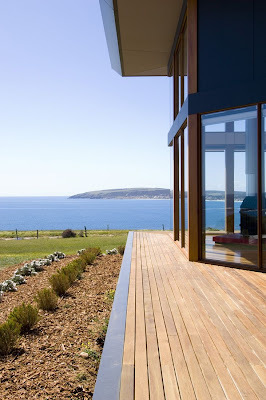 The building is elevated a meter above the ground to maximize the view and reinforce the dramatic form. Double glazing and high performance glass, cross ventilation and fans for cooling and a highly efficient combustion heater for heating, minimize energy use. Hot water is from an efficient electric heat pump. 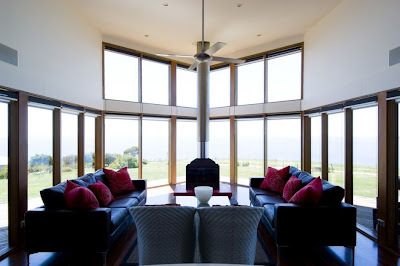 "Interior Luxury Design, Modern Homes.